The anticlockwise circuit starts on the A329, north of Little Milton, heading south through the village. It then turns east onto the B480 at Stadhampton, running south-east past the southern boundary of Chalgrove Airfield. The route the turns left off the B480 on to an unclassified road, heading north-east to Stoke Talmage, crossing Haseley Brook and then passing under the M40 before turning north-west onto the A40 (Tetsworth High Street). The circuit continues west along the A40, crossing the finish line that is approximately 200m to the east of the junction of the A40 with the A329. 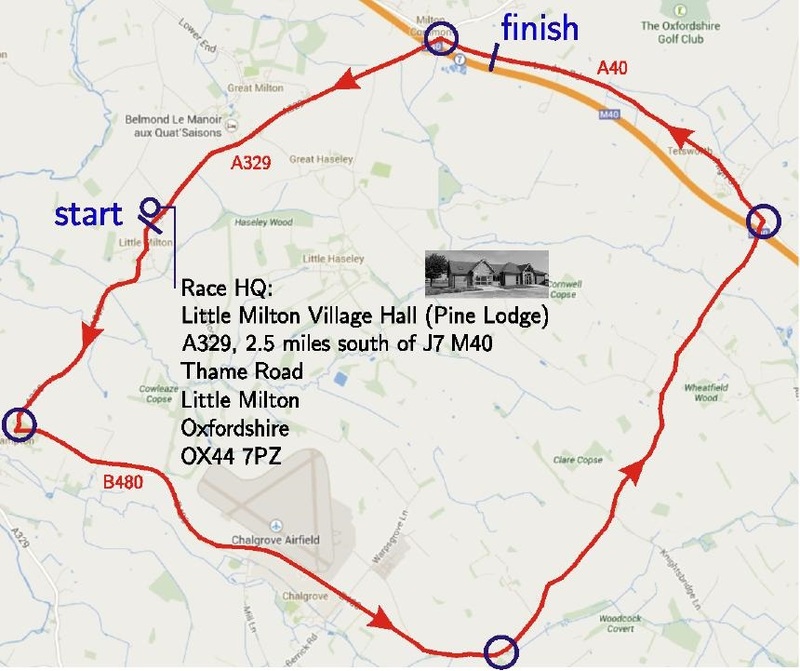 The route then turns south-west, back over the M40, then along the A329 to complete the lap in Little Milton. There are no significant climbs to negotiate. 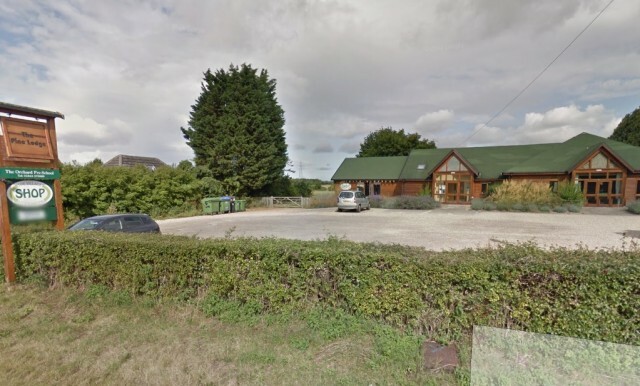 Please ensure that you park in the field adjacent to the Village Hall/Race HQ (the main car park will be kept free for the race vehicles). Please sign on at least 30 minutes before the start of the race. Failure to do so will mean that the race organiser may give your number to a reserve rider. Please take away all of your rubbish. Empty gel packs should be put back in your pocket after use. Please go straight to the HQ after the finish of the race; please do not wait for friends at the finish line. The “John Walker Trophy” is a E/1/2 Road race and is the pinnacle of all Willesden CC events. The winner will have their name engraved on the the prestigious and impressive trophy, which is a salute to John Walker. John was a great wit and raconteur in the Willesden CC and for many years he was the Master of Ceremonies at our annual club dinner. John was an avid jazz fan and his bike was badged up as a Stan Getz to honour the great American jazz saxophonist. John was also a creative and artistic person who had a talent for airbrushing incredibly intricate and dark satanic designs on to custom motorbikes. Dulcie Walker Memorial Road Race, is a 3/4/W/J race. The winner will have their name engraved on the “Dulcie Walker Poniard” (a ceremonial tapered knife). Dulcie Walker was John Walker’s mother. She is also remembered as a quite a character and is thought to be the first woman to hold a motor cycle licence in the UK.